This electric adjustable bed is a hand crafted mahogany bed, and as you can see is absolutely stunning. 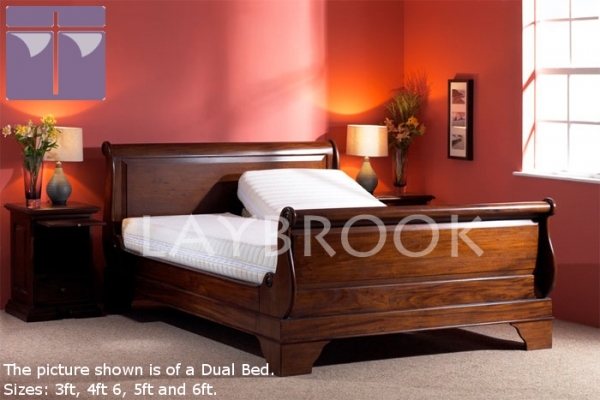 This bed comes in single, double and dual sizes, and is another high end high quality electric adjustable from Laybrook. Beat that! The colour of this bed surround is brown. Our standard size bed is 22 inches from floor to top of mattress (like most beds). If your bed is ordered with a v-lift, 1 inch is added to the total height of the bed.